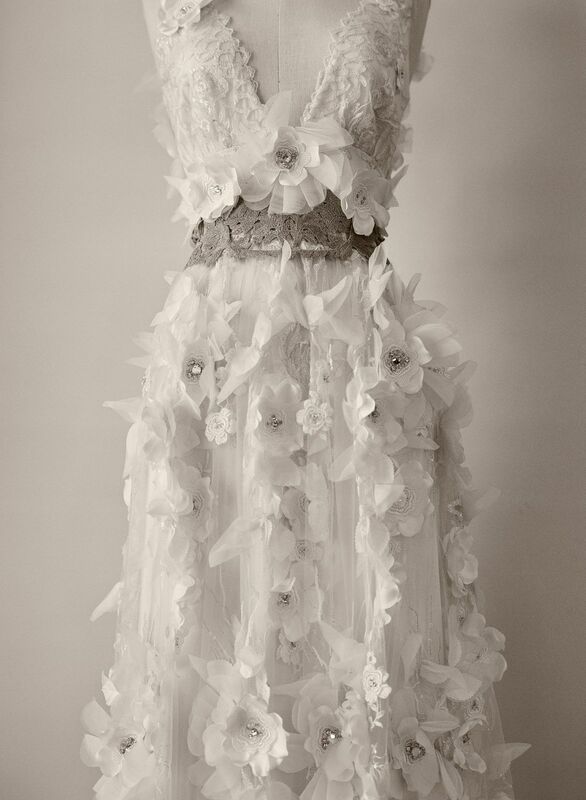 In my search for a wedding dress, Claire Pettibone's ethereal gowns always ranked high. 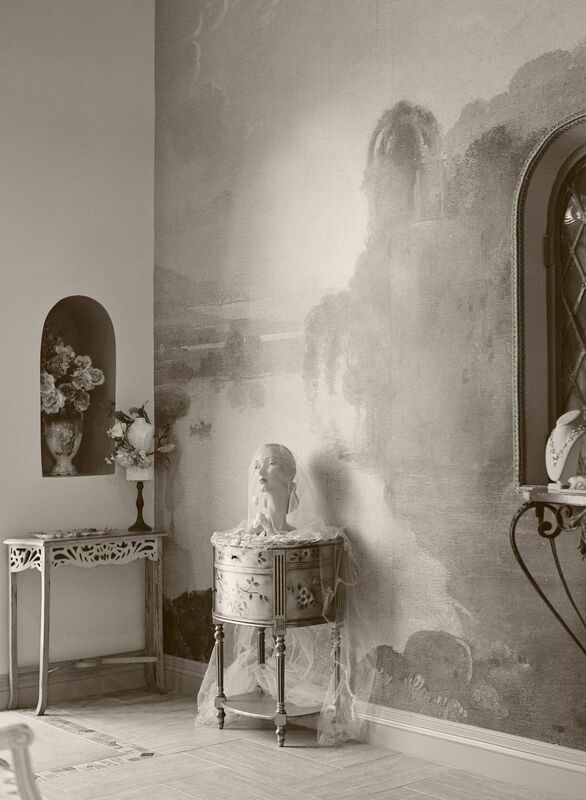 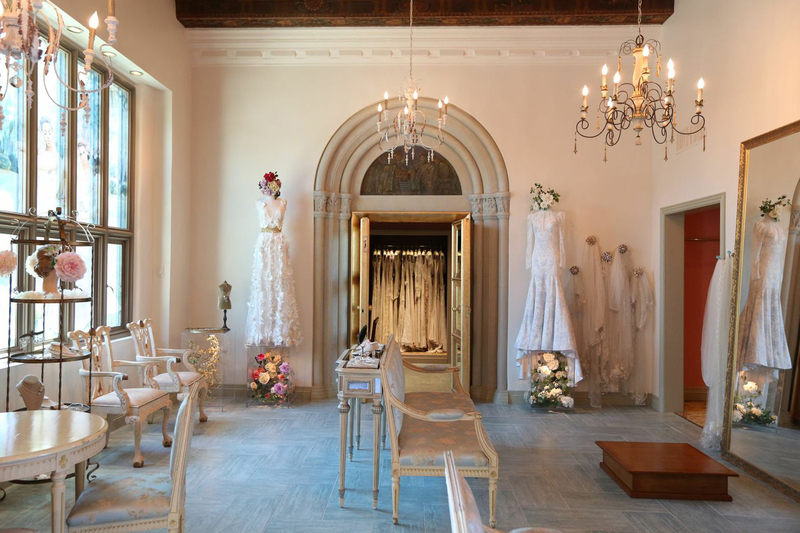 Vintage inspired and ultra romantic, it only makes sense that the L.A.-based designer has moved her atelier and flagship into a castle. 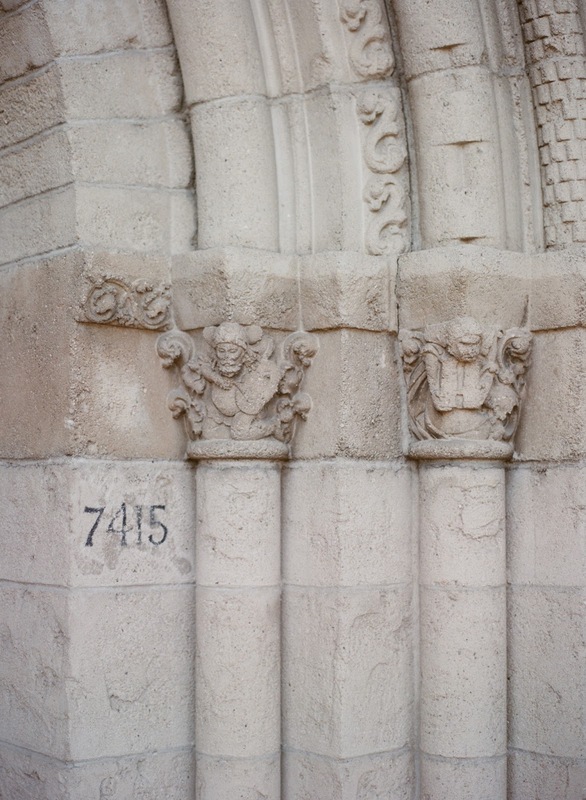 The historic monument in West Hollywood was designed by Curlett & Beelman (the team responsible for much of L.A.'s skyline) and built in 1928 for muralist Anthony Heinsbergen. 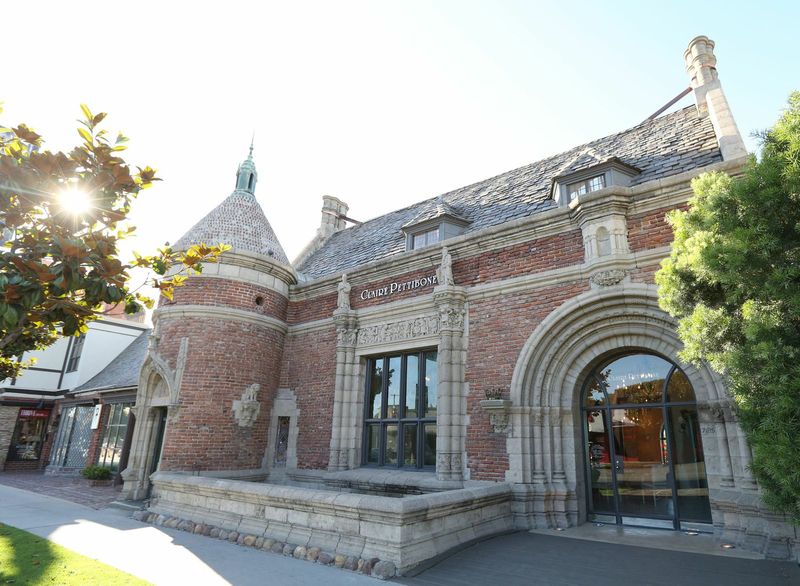 Constructed in Late Gothic Revival and Romanesque style using bricks from the original L.A. City Hall, the building features a cylindrical tower, a Renaissance-style mural in the stone arch, and a hand-painted wood-beamed ceiling. 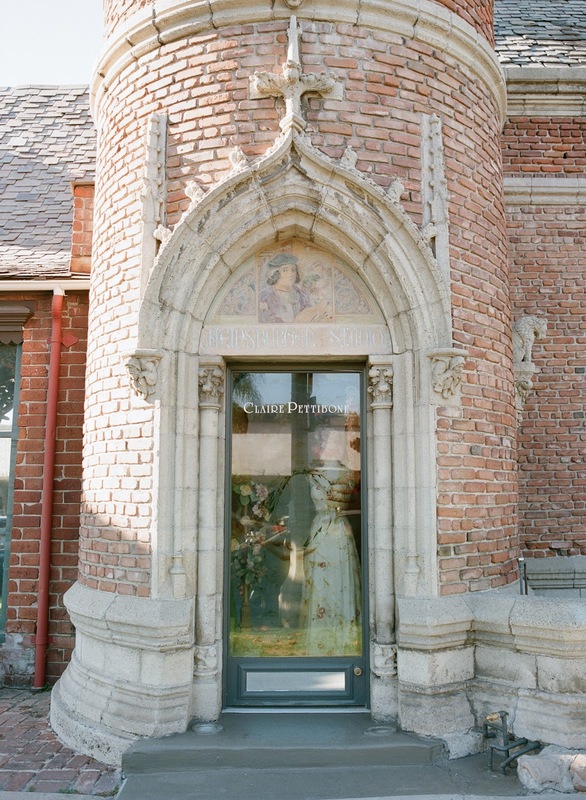 Now, with Pettibone at the helm, the Heinsbergen Castle has been restored and redecorated to include Italian stone floors and French Empire antiques. 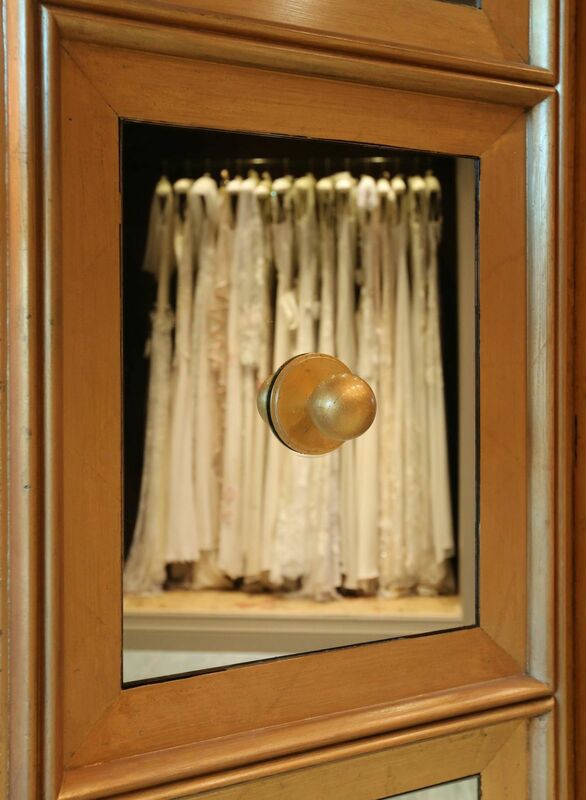 Mannequins donning diaphanous gowns are set on illuminated acrylic pedestals with floral arrangements encased within, and a dramatic arch and gold-leaf mirrored doors lead the way to the gown gallery. 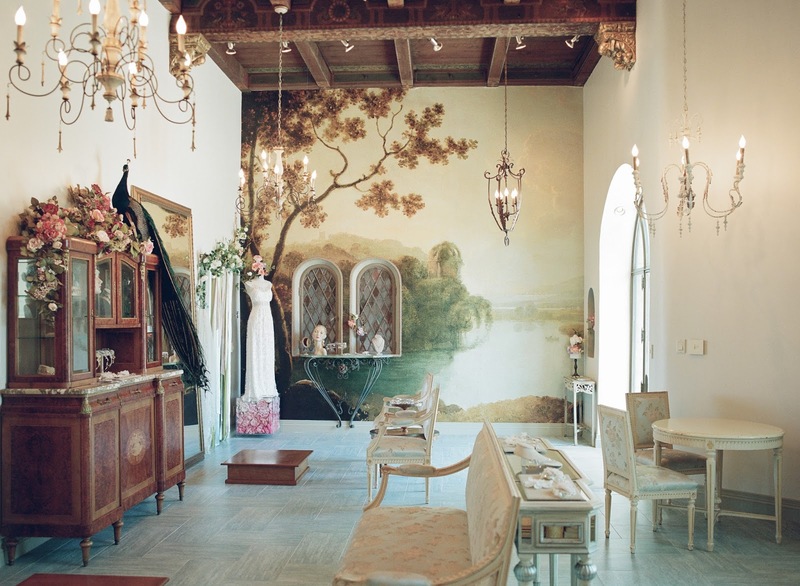 The new salon makes for a perfectly enchanting experience for a bride-to-be, don't you think? 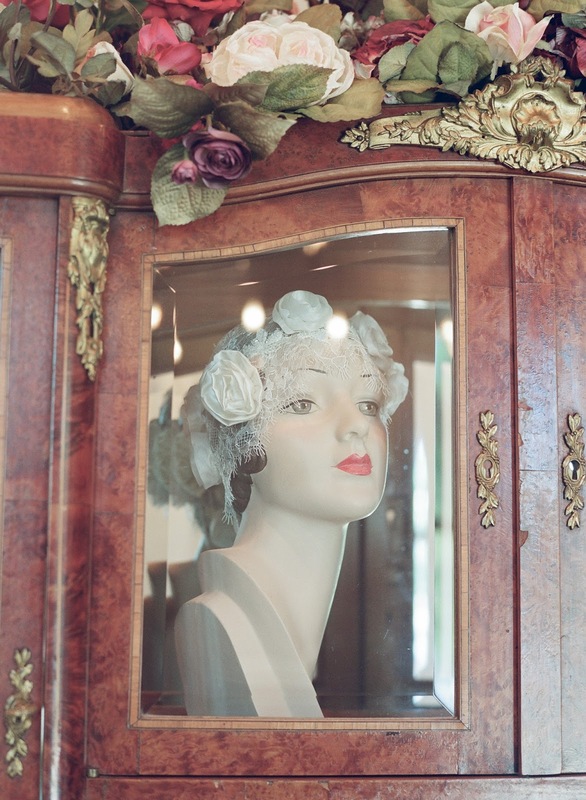 How beautiful! 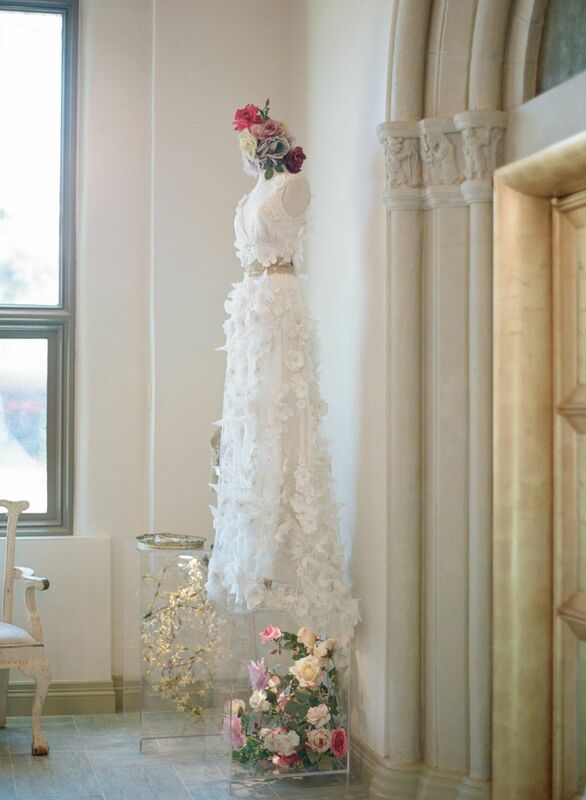 I love her dresses! 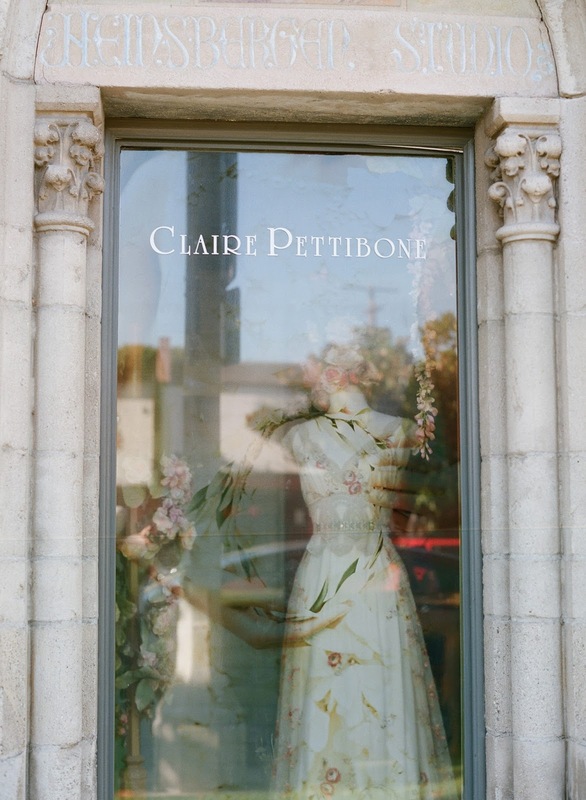 I could totally see you in a Claire Pettibone dress at your wedding!